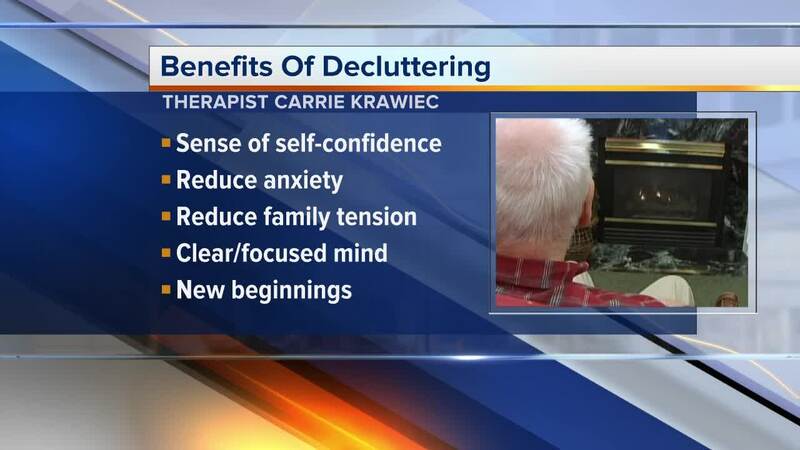 SOUTHFIELD, MICH (WXYZ) — With all the excitement and talk around the KonMarie decluttering methods of Marie Kondo, it may be surprising to know there are significant mental health benefits from decluttering your home. A University of Southern California research paper entitled "No Place Like Home: Home Tours Correlate With Daily Patterns Of Mood And Cortisol," reported that "(Cleaning) gives people a sense of mastery and control over their environment. Life is full of uncertainty and many situations are out of our hands, but at least we can assert our will on our living space. Clutter can be visually distracting, too, and serve as a nagging reminder of tasks and chores undone."